There are fresh eyes in the western sky, but they're sporting a virtual blindfold with the federal government shut down. 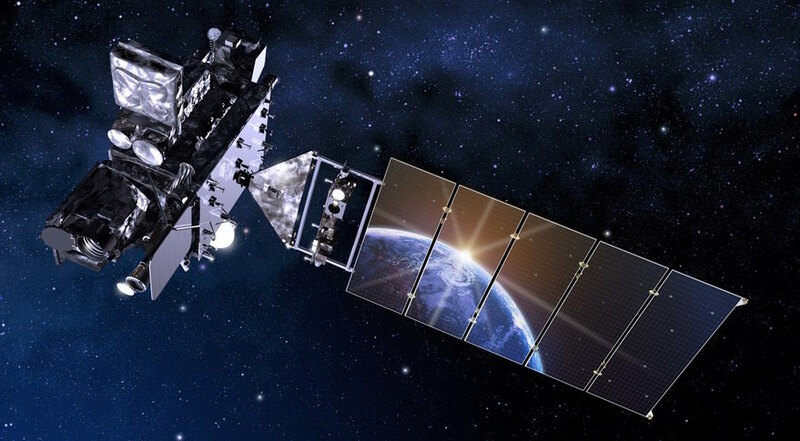 This week NOAA was to officially throw the switch on the GOES-17 satellite, also known as GOES West. (GOES is an acronym for Geostationary Operational Environmental Satellite.) It's been up and feeding back pictures in test mode since March, but NOAA has delayed making it fully operational as federal scientists and engineers wait out the shutdown. The bird carries an imaging device that has triple the color range and four times the resolution of previous satellites scanning the western U.S. landscape. Though it's designed primarily as a weather satellite, it can also spot wildfires virtually as they're starting. It's a "game-changer," according to Paul Wloszek, a program director at Harris Corp., which built the on-board Advanced Baseline Imager. "And it does all of this from geostationary orbit, which is 22,000 miles away," Wloszek said. A geostationary satellite rotates in sync with the Earth, rather than making periodic "passes" over the planet. Essentially, it stays parked in the same spot, focused on the same area. One thing all of this adds up to is the potential for much faster response when wildfires break out. "Even 10 to 15 minutes before the first 911 call comes in," says Wloszek, "first responders know that there's a hotspot or a fire starting to happen." He says it's not just theory; they've already seen it happen at a fire in Colorado, with images from its sister satellite, GOES East. Launched in 2017, it was the first to have the advanced imager. It captured distant images from the Camp Fire in Butte County, even from its position over the eastern half of the U.S. GOES West doesn't try to pinpoint hotspots visually, but with the shortwave infrared part of its imager, which can pick up heat signatures with more precision, day or night. Forecasters can also call up new views every 30 seconds, which also has advantages. "It's like you're watching a movie from space of how it's all evolving," says Wloszek, "which really allows unprecedented situational awareness for first responders on the ground. "What's important about all that," he said, "is not only can it detect it earlier, but because they can do 30-second updates, they can actually track the progression of the fire in real time." The bird can even "take the temperature" of a growing fire, to determine where it's burning the most intensely. 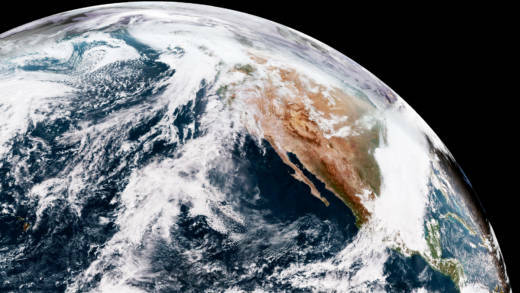 With it's better image quality, GOES West will also offer advantages to weather forecasters; it can, for example, distinguish between clouds and smoke. The satellite is part of a "constellation" of orbiting eyes, which is set to get a new addition, GOES-T, in 2020.